Their demand: Florida legislators do something about mass shootings. One hundred students from Marjory Stoneman Douglas High School will travel to Tallahassee for a Wednesday march on the state Capitol in the first organized protest of their #NeverAgain movement. 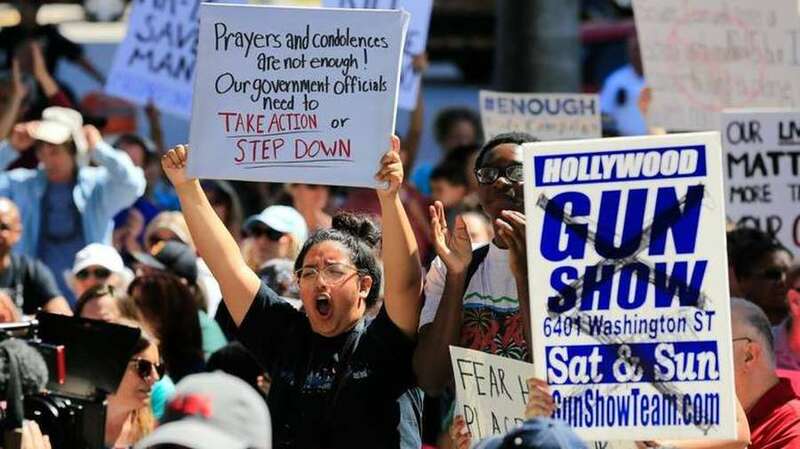 Their demand: that Florida legislators use the remaining three weeks of the annual session to revise state mental health and gun laws to forestall a repeat of the Parkland school shooting that left 17 dead. "It really needs to be recognized that they need to stop fighting each other and starting working together,'' said Jaclyn Corin, 17, junior class president and a survivor of the shooting, who conceived the idea for the two-day trip. "This has to be the last school this happens to." The students and about 15 parent chaperones will travel to Tallahassee by bus on Tuesday in advance of small-group meetings with legislators that are planned for Wednesday, then return later that day. They leave following a Tuesday morning funeral of Carmen Schentrup, 16, who was killed when their former classmate, Nikolas Cruz, killed students and teachers with an AR-15 on Valentine's Day. The student group will spend the night at the Tallahassee Civic Center as a guest of Florida State University. They expect to use the bus ride to refine details of the legislation they want to see. 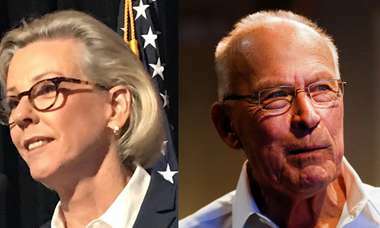 Scheduled are meetings with Attorney General Pam Bondi, Senate President Joe Negron, House Speaker Richard Corcoran and with Democratic lawmakers from both the House and Senate, said Claire VanSusteren. She is helping to organize the event with Sen. Lauren Book, D-Plantation. They are hoping to arrange a meeting with Gov. Rick Scott, she said. Parkland student Corin said she and her classmates want the state to ban assault weapons and high capacity magazines. They also want to make it more difficult for those with histories of mental illness to legally access weapons. "We emphasize the need for more attention to mental health. We know a lot of people, and politicians, would prefer that over gun control, but we want to emphasize both,'' Corin said. "We don't want to take away people's gun rights. This movement understands that people have that right under the Second Amendment, but we just want alterations and restriction." Corin said students will start by asking legislators to review gun laws in other countries and reject the National Rifle Association's logic. "The NRA brainwashes us to think these rules and laws can't work here,'' Corin said. "We think they can. In what world would a civilian need an assault rifle? There's no common sense reason." To sportsmen and those who say they need the weapons for self defense, Corin says: "There's so many other guns they could use. We don't need guns in our community that can fire off 100 bullets in a matter of 10 minutes." Their demand for changes to Florida's gun laws face steep odds in the state legislature, which has been more inclined to expand gun access than restrict it, even after the 2016 shooting at the Pulse Nightclub in which a deranged gunman left 49 people dead. Even after the shooting in Parkland, the Senate scheduled a hearing on a bill by Sen. Dennis Baxley, R-Ocala, to allow teachers to carry concealed weapons in the classroom. Until last week, Corin said her priorities were organizing a car wash to raise funds for her class's senior prom, a dance marathon scheduled for next weekend, and an Advanced Placement biology test that was supposed to happen Friday. "This all became so unimportant after this,'' she said Sunday. Two of the victims she had seen and spoken to in the halls just moments before they died. "I saw these people in some of their last moments on earth. We want something good to come out of something so terrible." Now, she said, she and her fellow students are motivated by both anger and opportunity. "We are starting at the state level and hopefully we will be able to reach the national level,'' she said. "I really do think we will have a huge movement." Cameron Kasky, another Douglas High student who started the #NeverAgain movement, announced Sunday that on March 24, students are organizing rallies across the country to demand that lawmakers reject money from the NRA and say "never again." "My message for people in office is: you're either with us or against us. We are losing our lives while the adults are playing around," Kasky said in an interview Sunday on CNN's "State of the Union. "We don't need you. On March 24, you are going to be seeing students in every single major city. We have our lives on the line here." "This isn't about the GOP, this isn't about the Democrats, this is about us creating a badge of shame for any politicians accepting money from the NRA and using us as collateral," he said. Book said she and Senate Republican Leader Wilton Simpson of Trilby will use their own funds to pay for meals for the Parkland students in Tallahassee. Book said she realizes that pro-gun groups may also be visiting the Capitol next week and hopes that they respect the students and what they have gone through. "I understand there are differences of opinion,'' she said. "This is an opportunity for these brave, strong and incredibly eloquent students to share the horrors they have experienced. I know there are receptive ears and hearts in our legislature and they will be the impetus for change."